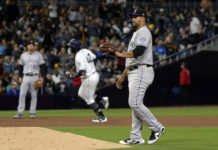 Prior to Tuesday’s game against the San Francisco Giants, the Colorado Rockies promoted pitcher Antonio Senzatela from Triple-A Albuquerque. 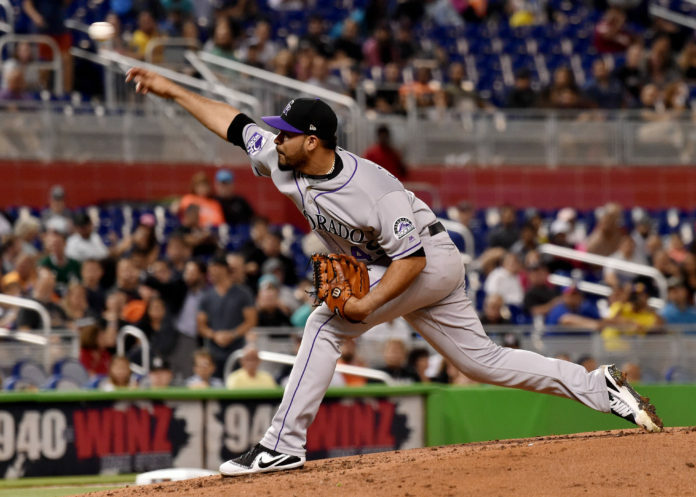 Senzatela, who won 10 games as a starter for the Rockies as a rookie in 2017, went 2-1 with a 6.23 ERA in 10 relief appearances earlier in the season. With the Isotopes, Senzatela returned to the rotation, going 3-1 with a 2.15 ERA in Albuquerque. 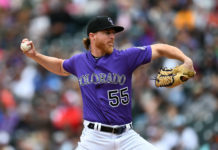 Senzatela was expected to start Tuesday’s game following the demotion of Jon Gray to the Isotopes this weekend. Outfielder Raimel Tapia was promoted to the Rockies when Gray was sent down. Starting pitcher Chad Bettis, who left Sunday’s start with a blister on his throwing hand, was placed on the 10-day disabled list on Tuesday to make room for Senzatela. Bettis is 5-1 with a 5.10 ERA on the season. Senzatela will face San Francisco’s Chris Stratton (8-5, 4.45 ERA) on Tuesday night at Coors Field. The Rockies won the first game of the three-game series on Monday and trail the Giants by 2-1/2 games in the NL West.